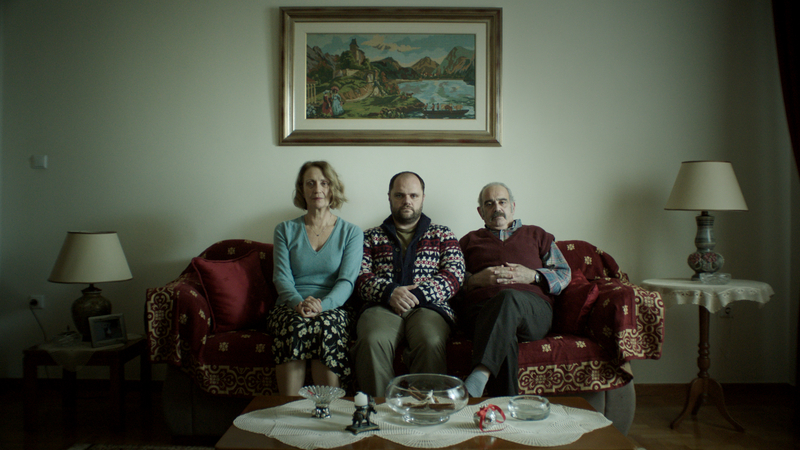 On Sunday, April 7, 2019, at 10:00 a.m., Cinema Art Bethesda will present the Greek film, Amerika Square (Plateia Amerikis). The film is 86 minutes long and in Greek and English with English subtitles. It was released in 2016 and was the winner of 5 and nominated for 4 awards at 7 international film festivals. Filmmaker Yannis Sakaridis presents a clever satirical view of the Greek migrant crisis by exploring both xenophobic and sympathetic sentiments of Greeks towards foreigners escaping the war and hardships that engulfed their native lands. Told from three different points of view, the story follow through to an upbeat, yet realistic and plausible ending. Nakos is an unemployed inhabitant of the small neighborhood of Amerika Square who grows increasingly disgruntled at the influx of Middle Eastern migrants coming to Athens. Much of Nakos’ frustration stems from his inability to do anything about the new demographics of his neighborhood, a situation he spends most of his time brooding over instead of undertaking measures to address the much bigger problem at hand – his dead-end life. The pathetic Nakos has few close allies – his parents with whom he lives and childhood friend Billy, the selfless tattoo artist next door in whom Nakos confides his hatred of immigrants. What Nakos does not confide in Billy is a sinister plan to eliminate some of the migrants utilizing a desperate measure that accomplishes a chain reaction only resulting in the loss of Nakos’ few remaining friends. Billy, a lost soul himself who has wittingly and unwittingly impacted countless other lost souls through his line of work, seizes upon an opportunity to help two migrants escape from Athens; one of which a beautiful African singer with whom he falls in love and sees that she escapes to France at great cost to himself; the other a weary Syrian doctor escaping the war in Aleppo and trying desperately to reunite with his 9 year old daughter who has been smuggled to Germany ahead of him. In the end, sympathy and selflessness resonate more brightly than intolerance and Nakos finds his anti-migrant attitude to have cost him his only allies and the shreds of pride and dignity that had been clutching all along.